Labour has moved to clarify its position on the single market, after days of confusion, by insisting that no option should be “swept off the table”. 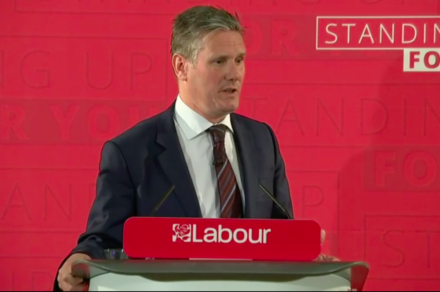 Keir Starmer last night set out a series of “objectives”, including tariff-free access to the trading bloc, when he spoke to a group of the party’s business supporters. The shadow Brexit also said, however, that how this is delivered would be “secondary to the outcome”. Starmer was speaking at a Labour in the City event at the end of a day when John McDonnell appeared to shift the party’s stance. McDonnell, the shadow chancellor, had earlier told the BBC that Labour was not “ruling anything out” – a contrast to the definitive answer given by Jeremy Corbyn on Sunday when he said a government led by him would not be part of the world’s largest trading bloc because staying in is “dependent on membership of the EU”. The leader’s stance prompted frustration among Labour MPs and trade union leaders, who want to maintain the economic benefits of the single market, while Corbyn has repeatedly said the outcome of last June’s referendum must be respected. Last month Corbyn sacked three frontbenchers who supported Chuka Umunna’s amendment to the Queen’s Speech that demanded Britain remain in the single market. Starmer has endured a turbulent week as it emerged he had been in talks to take on a lucrative second job as a consultant with law firm Mischon de Reya. He later dropped out of discussions and said he was busy with “other commitments”.